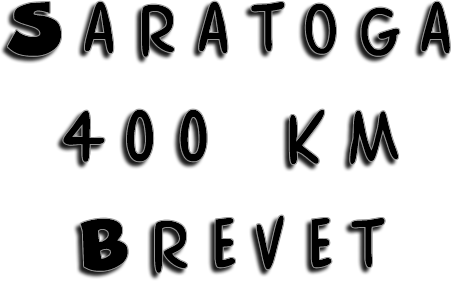 Thank you for your interest in the Saratoga 400 KM Brevet. This ride is part of the SARATOGA BREVET SERIES and is sanctioned by AUDAX CLUB PARISIEN and RANDONNEURS USA. We will follow their RULES & REGULATIONS. We will be using our classic Adirondack Loop route, which will provide a very challenging ride and great training for those going to PBP. Lights and reflective gear will be required and most riders will have about 5-7 hours of night riding, but if you take the full time limit, you can have up to 11 hours. Since the night portion will be more than the 300 KM and about the same as the 600 KM, please make sure your system is up to the task. Riders arriving without a proper light system for the ride will not be allowed to participate. To help you prepare, we've created a rider checklist, which includes our minimal lighting requirements. This ride will be unsupported on the road, but we'll have snacks, pocket food and drinks at the start, along with gels, drinks and bars to take along with us. At the finish riders will be treated to pizza or pasta.We'll also have a small selection of lights, batteries, tires, tubes and other merchandise for sale at the start and finish, in case you've forgotten anything or need something. 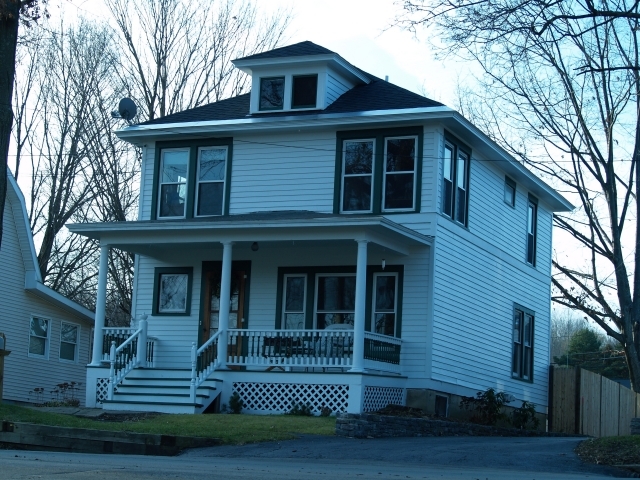 This ride will start from the regional brevet manager's home at: 7 PEARL STREET, Schuylerville, NY. This is a residential neighborhood, so please be courteous when arriving and departing and make sure not to block a neighbor's driveway or the street when parking. This ride will be held rain or shine and entry fees are non refundable and non transferable. If you'd like more information about randonneuring, go to the RUSA website. If you'd like specific information on our other events, click on the links at the top of the page, if you'd like general information about our events, use the links to the left and if you have any questions, feel free to CONTACT US.